About the same time we were preparing for the launch of our brand new site, I discovered a leaking pipe in my bathroom. The threads on the pipe were broken and it needed to be replaced. This required cutting into the wall. The pluming problem is actually closer to being fixed in this picture. The pipes are even reconnected. Since moving into the new house about a year ago, I’ve unleased my home improvement abilities on nearly every room, but I have avoided the bathroom. 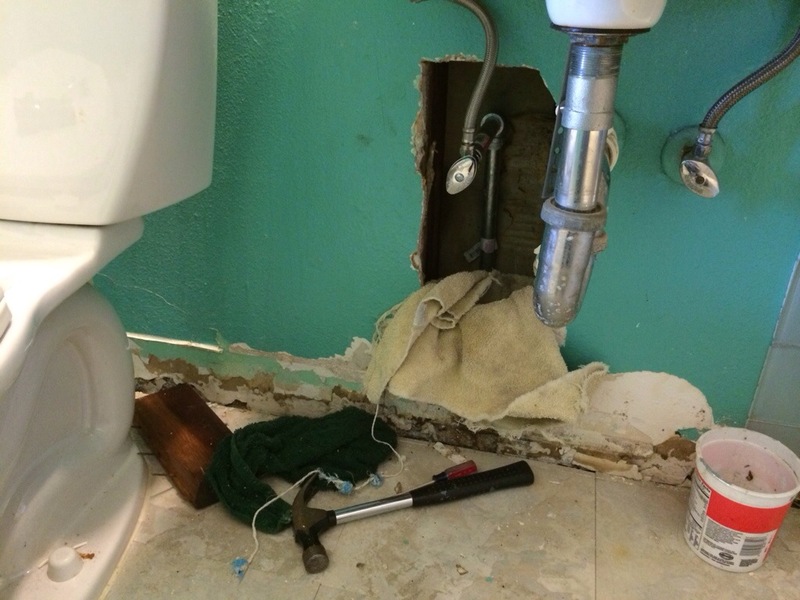 The pipes fixed, we re-patched the hole. We also had to tear out the waterlogged molding. But you know, when you have to cut and patch a giant hole in the way, it starts to look like time to repaint. I completely redid the bathroom. But it needed a geeky touch. So I added a squid. 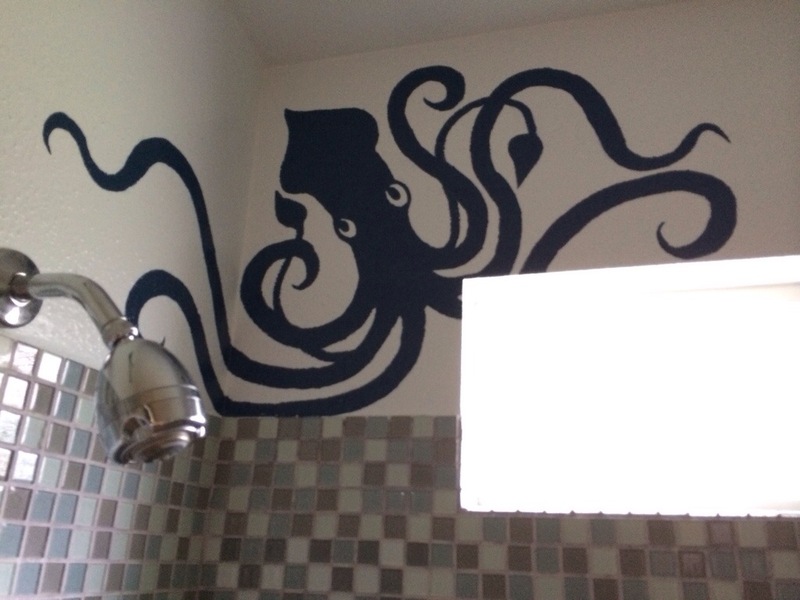 With the rest of the room a pale light blue, the squid adds some visual interest. 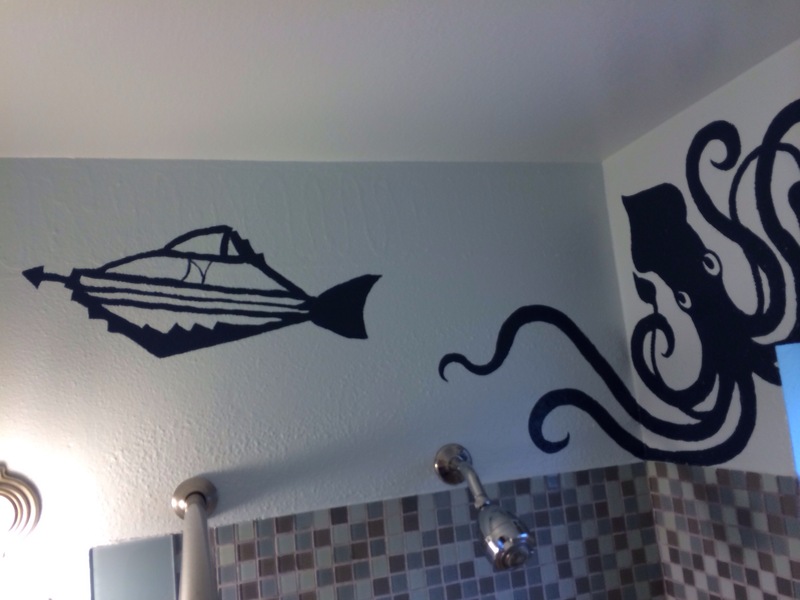 And since sci-fi is awesome, I also added The Nautilus. Outlining came first before filling in the design. I used a projector to project an image onto the way. I then traced and modified it. I’m quite happy with the final result.